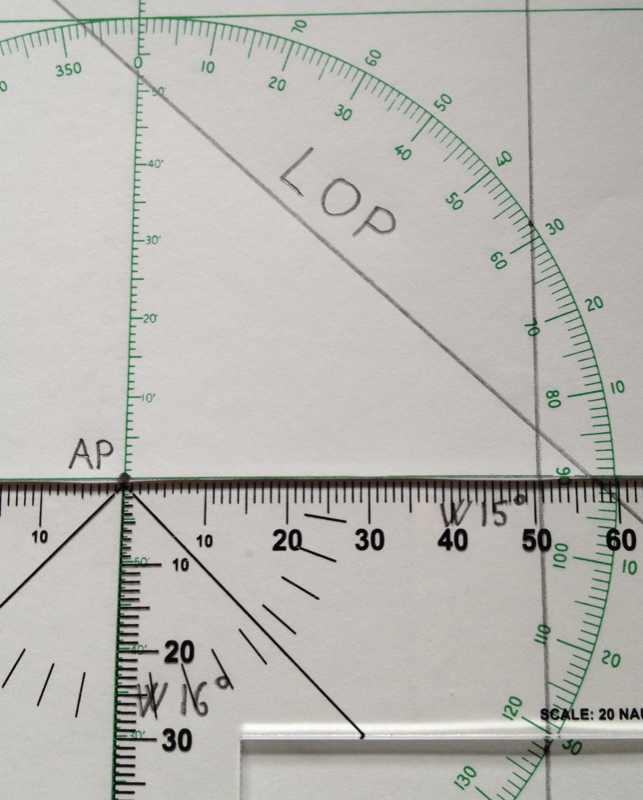 The recent addition of a protractor to the T-Plotter makes it a fully self-contained tool for plotting of celestial LOPs, as is shown in this demonstration video. 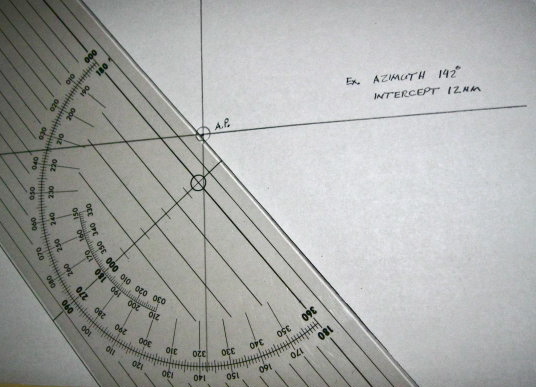 It is important to note, that the use of the T-Plotter is not limited to the scale of 20 nautical miles per inch printed on the instrument. 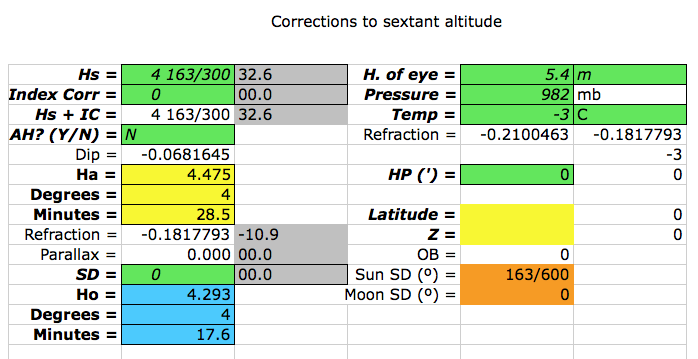 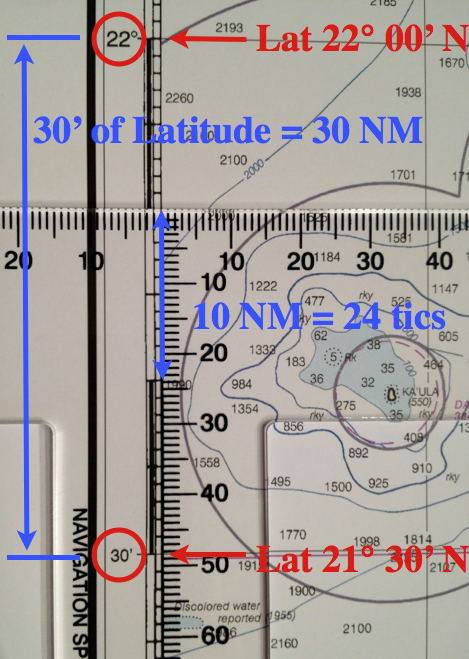 It is always possible to read off the equivalent number of tics from the latitude scale of any chart according to the picture below. 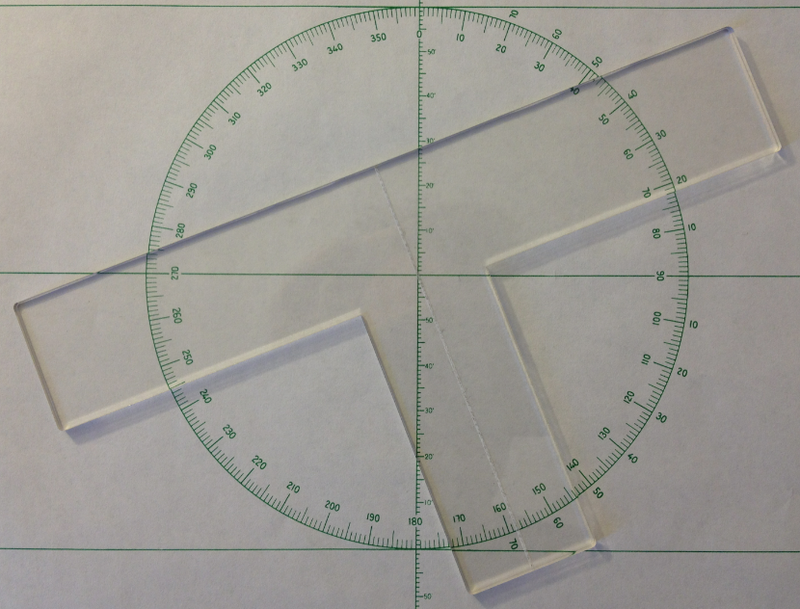 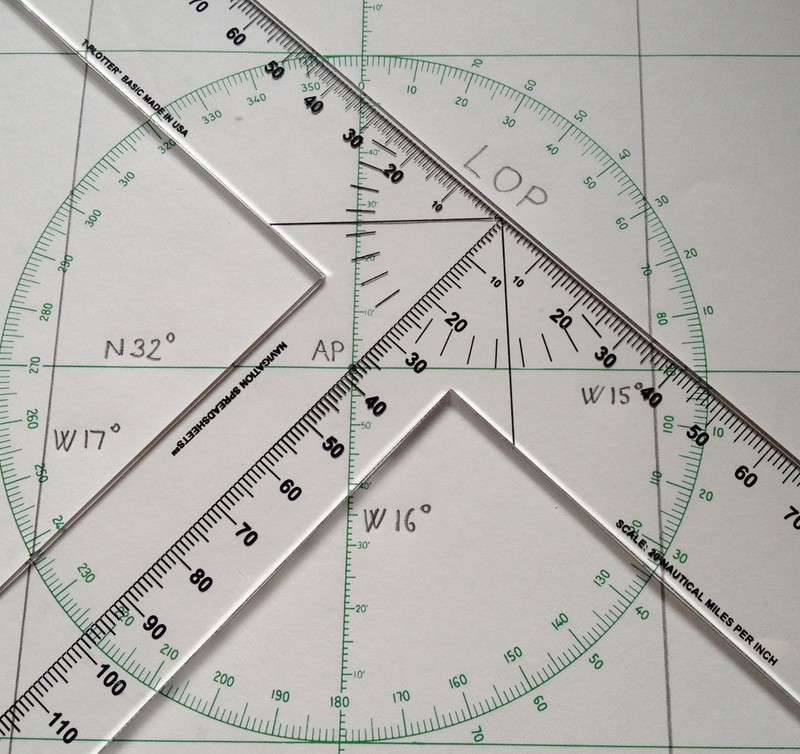 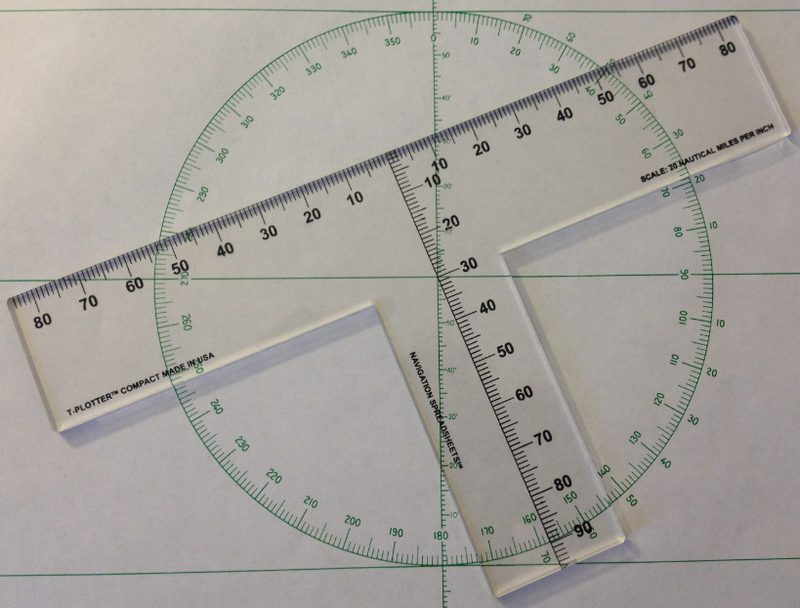 In his NavList posting Greg Rudzinski explains how you can construct your own plotting sheet using an updated version of the T-Plotter, that is equipped with a protractor. 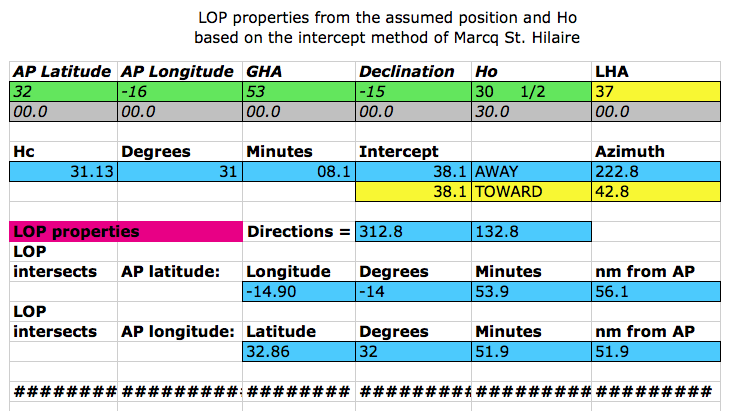 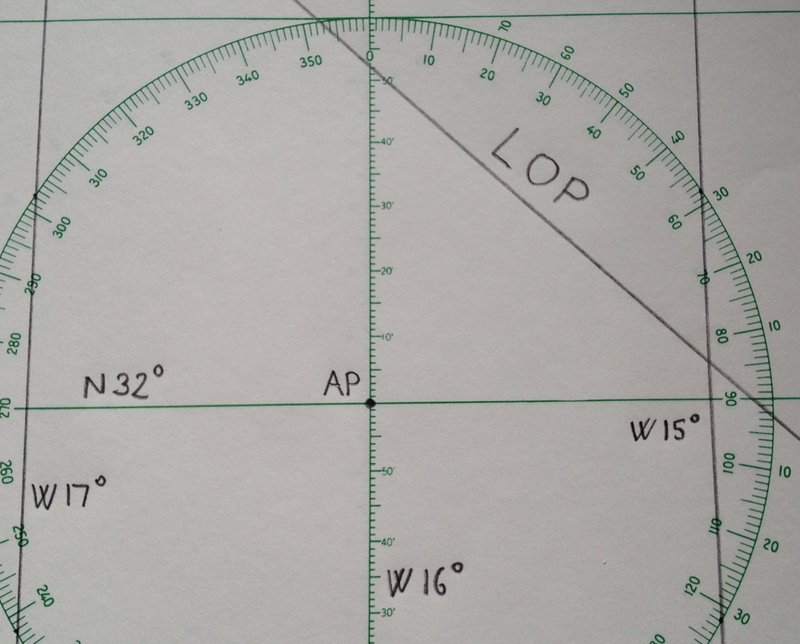 The orientation of the T-Plotter in the following image is for latitude of 34º.